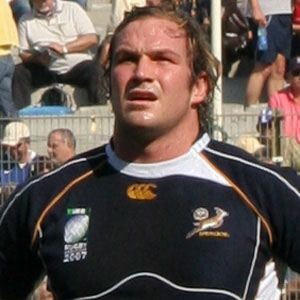 South African rugby union player who became known as a prop for the Sharks and the Free State Cheetahs. He was captain of an Eastern Free State age-group team. He became a qualified doctor, making him one of the few rugby players to simultaneously have a career outside of the sport. He grew up with a brother, Bismark du Plessis. He and Coenie Oosthuizen both played for the Free State Cheetahs.